We supply and erect double wall freestanding or mounted UL approved smokestacks available in a variety of metals and insulations to meet your needs. 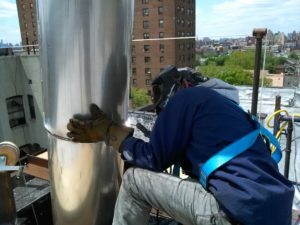 We also install 10 gauge single wall stainless steel stacks that is welded on site by our AWS certified welders. We install various chimney liners to make your chimney suitable for natural gas use. We offer the option of stainless steel in various grades, or FuranFlex® liners. 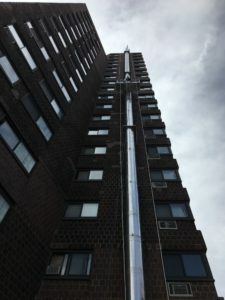 The stainless-steel chimney liner is government approved for the efficient, and safe conversion of oil to gas. 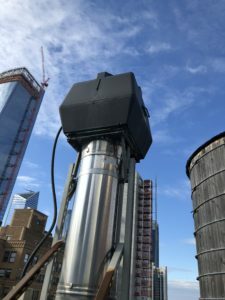 FuranFlex® is the new recommended revolutionary solution for chimneys that have offsets or are odd shaped and is approved for gas and oil burning burners. 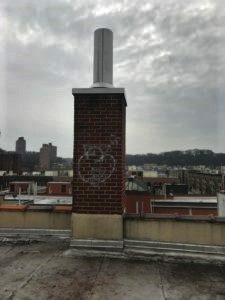 Whether it be vertically to reach a required height or horizontally to meet receptor distance requirement, chimneys often need to be extended and offset. Jobs like these sometimes require out of the box ideas for design and access. With our years of experience we have helped many owners solve violations and save them some real money. Breeching is the pipe which runs from the boiler to the chimney base and may need replacement over the years. It also needs to be wrapped with fire rated insulation in certain scenarios to meet DOB code requirements. Draft Control Systems, whether the job require a rooftop unit or inline, our mechanical engineers will visit your job site to design and select a system for best performance. We design and install exhaust and venting for any industrial applications. We also design and install fresh air systems for existing apartment buildings and parking lots to improve indoor air quality. 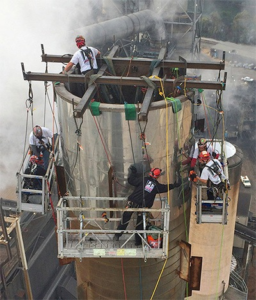 Our SPRAT certified rope access provides safe and efficient means of accessing structures and geologic features for inspection, maintenance, and chimney construction. 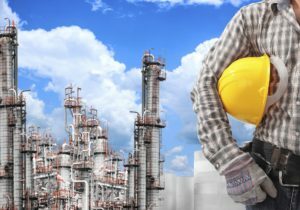 The systems are installed and dismantled quickly, which results in faster completion and minimal downtime, decreasing the cost rate.